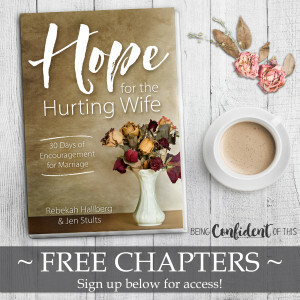 If you’ve come here searching for some hope for your marriage or simply ways to improve it, then you’re in the right spot. 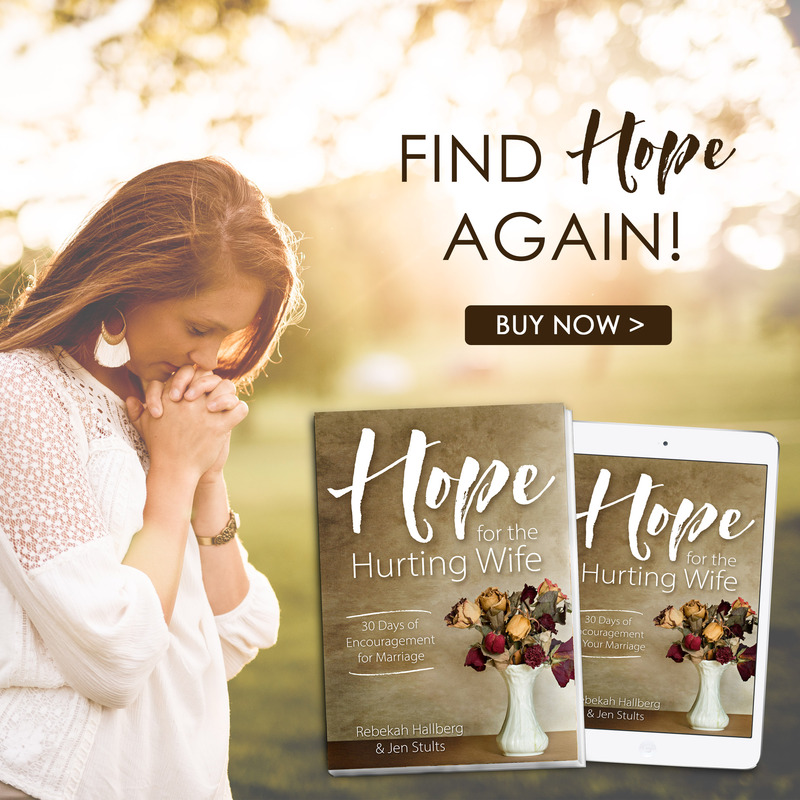 Along with our book, Hope for the Hurting Wife, my co-author Rebekah Hallberg and I have compiled a list of resources that we have used and recommend for any marriage. *This page contains affiliate links. Jen is a participant in the Amazon Services LLC Associates Program, an affiliate advertising program designed to provide a means for sites to earn advertising fees by advertising and linking to amazon.com. Jen also participates in affiliate programs for other trusted products. Thank you for helping to support the ministry of this blog! Obviously, we love this book, and not just because we wrote it. 😉 We love it because it’s a testimony to the power of God to work real and lasting change in marriage, even marriages that are on the rocks! Rebekah and I both know the pain of existing in a struggling marriage, a seemingly hopeless and broken marriage. Yet we also know the power of God’s redeeming love and the changes that take place when women of God humble themselves, seek His face, and pray like Warrior Wives! If you’re looking for some hope to cling to, please take a look! Sarah is my (Jen’s) amazing and creative sister, who has also lived through some difficult times in marriage and found the abundant life that lies on the other side of those trials. This book, however, is for EVERY wife – newly married, happily married, struggling, looking for more, or celebrating fifty-plus years! Sarah’s book focuses on the biblical definition of real love by taking an in-depth look at 1 Corinthians 13 with a combination of Greek key-word study and hilarious anecdotes from her own experience. Every Wife’s Choice is one of my favorite marriage resources! Learn how the choices you make affect your marriage! Kaylene has been a friend of mine for years now, and she, too, has struggled through some tough seasons of marriage. What I love most about her is her fierce desire to be the wife God wants her to be. This book is also for EVERY wife – learn to harness the power of prayer and fasting in your marriage! Omartian’s book guided me through a particularly difficult and dark season of marriage. After reading the first couple of chapters, I was really tempted to put it down and walk away, but I’m so thankful I didn’t. I haven’t yet completed this study, but it’s on my to-read list because I know from experience the power of prayer. And if your marriage is in trouble, then friend, prayer is your first and most important resource. Invite the God of the impossible to step in and have His way with your marriage! My husband and I attended a Love and Respect seminar, and found Dr. Eggerichs’ description of the crazy cycle to be immensely helpful. 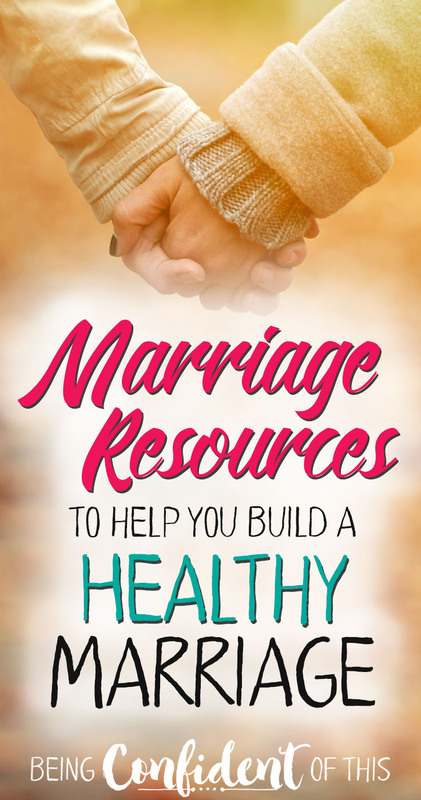 This book has practical tips for breaking the crazy cycle and finding your way back to a healthy dynamic in marriage. I have long appreciated this book because my husband and I have very different love languages. We so often forget to show love for each other in our spouse’s love language rather than our own, don’t we? And what a difference it could make if we choose to love our men as they wish to be loved! 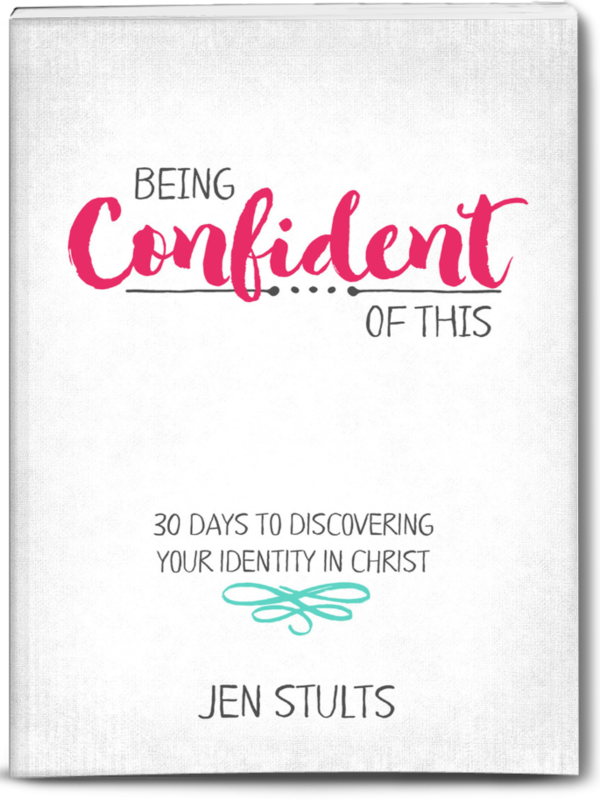 My friend Leah shares encouraging words in this daily devotional for women who are struggling in their faith or going through hard times! This book written by my friend A.J. (as I call her) uses everyday illustrations to help us understand God’s character and the nature of real trust! It’s also a daily devotional that will help you grow in your faith! Nothing strengthens a marriage quite like spending time in God’s presence together! Use a devotional like this one to study the Word together and pray together. 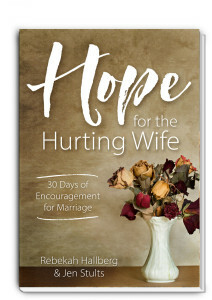 See more options for couples’ devotionals below in this list of marriage resources! This course from my friend Kaylene (author of one of the above books!) 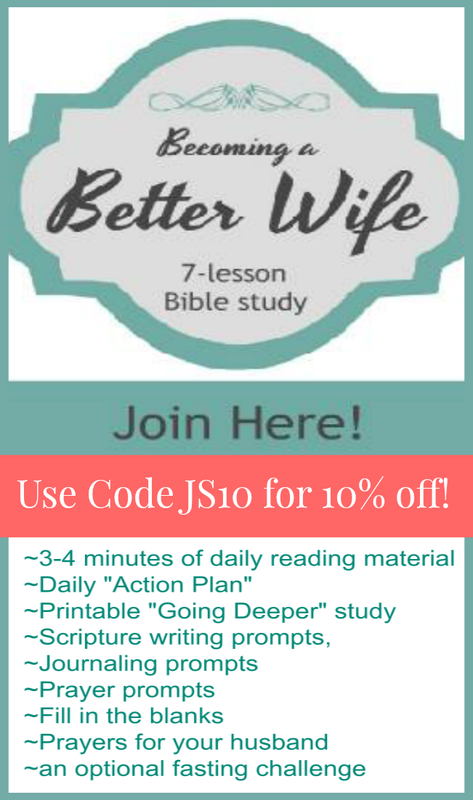 is seven lessons in being the wife God wants you to be. If you’re not sure if you’ll like her book, try out this course first as she introduces many of the key concepts that are central to her book!